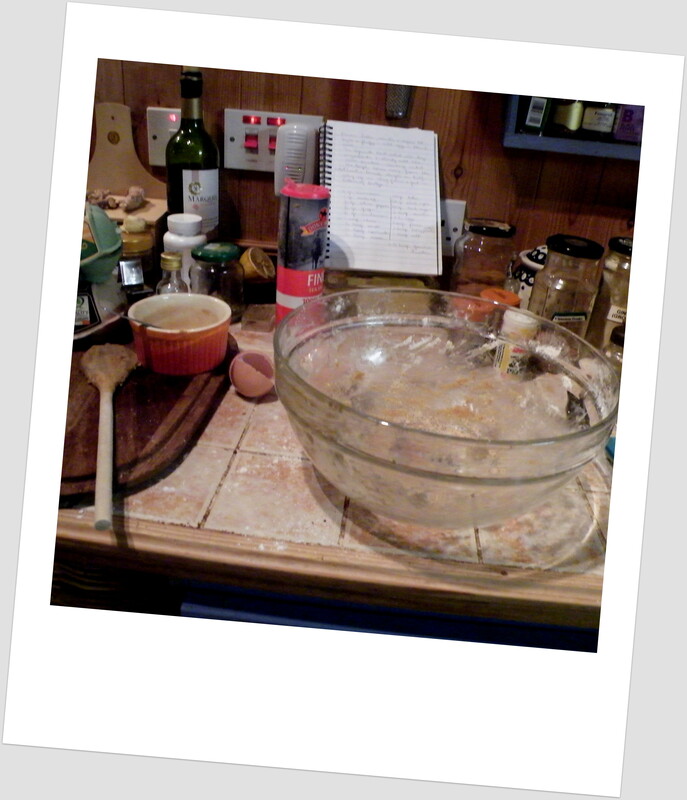 Today I have made the dough for a spicy biscuit, traditionally made Belgium and Holland for the feast of St.Niklaas. It is called Speculaas and many spices are used in the making of it. The dough, which now has to lie still in the fridge till tomorrow is fragile and has to be cooled several times even while working with it. It is put in a mould in the shape of a man or woman, or any other shape, and baked. I have actually never made these before in my life, now is as good as any time to start I think. 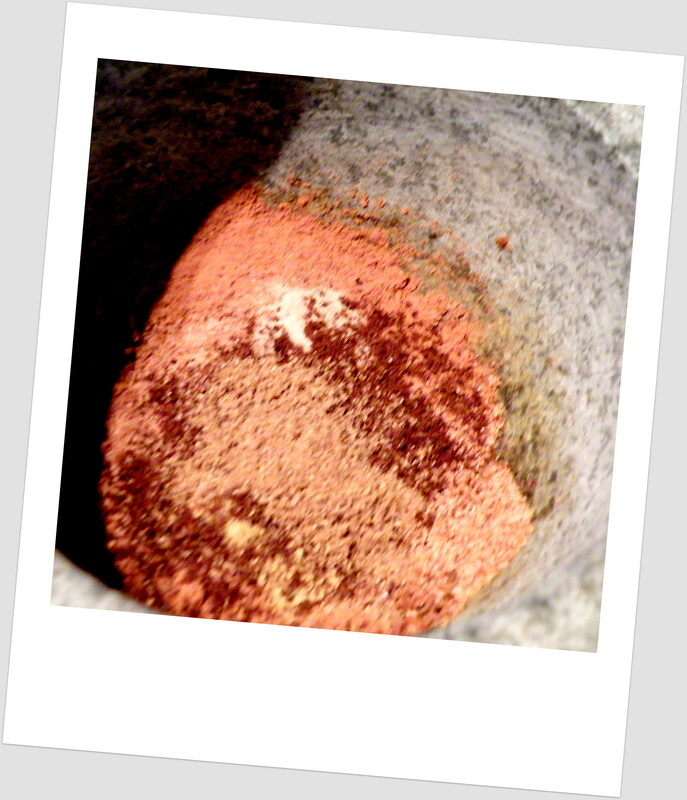 What I most enjoyed is mixing the spices. I used a whole list of them. 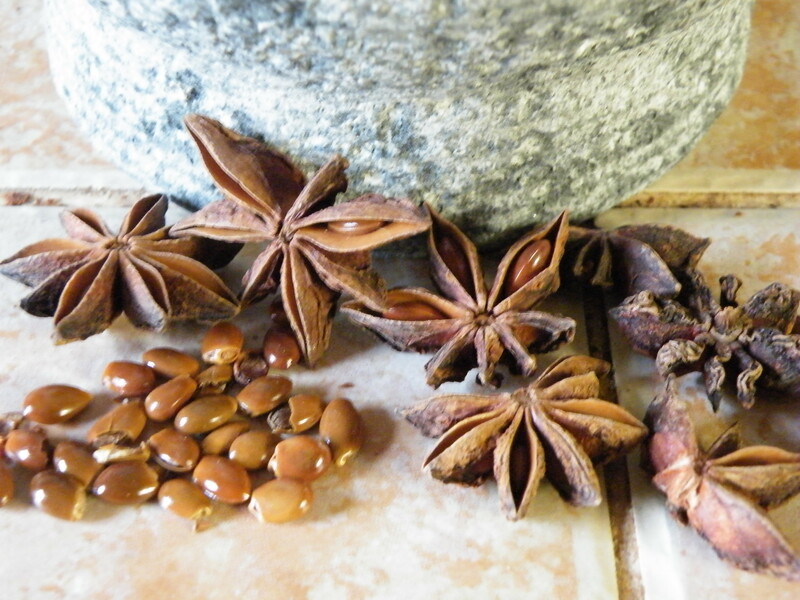 The Star Anise I had to pit and then use the pestle to grind the seeds. The scent was absolutely divine. Also on the list were: ground Ginger, ground Cloves, ground Cardamom, ground Coriander, ground Mace, ground White Pepper, ground Nutmeg, and ground Cinnamon. I actually saw most of these spices grow in Kerala, India, during one of my visits there with the tribal people. My friend kindly brought me to her home place in the mountains and showed me all these spices and where they grow, to experience this was an absolute highlight. I’m very fond of using spices in cooking but also as a medicine. My friend holding some of the freshly grown Nutmegs and showing the Mace around the nut. Also some of the Pepper which is grown and which is actually a climbing plant, I did not know that. The Star Anise ready to be ground down with the pestle. Again my friend showing me the Cloves fresh from the tree, so undried. Here the ground spices, and next a very untidy kitchen when it was all done and the dough was in the fridge, I wonder what my biscuits will turn out like, they better be good as they are for a fund raising do. This is so cool. I haven’t seen their spices not ground up before. And their scent is divine. Using spices that you ground up yourself just before us give a much richer result than using the ground item bought in the shop. This is so good! I love the spice pictures. How amazing that you’ve been to India! I had no idea pepper grew like that either and wouldn’t have recognized the cloves. Your kitchen must smell like heaven. I’ve never used mace but this makes me want to try it. Coriander in the mix sounds so interesting! This is such a great post. Love your choice of the pink gingham for the bedding on your previous post. Thank you Cynthia, yes my journeys to India were wonderful, such a rich culture, and bountiful nature, and wonderful people, it was the best thing I ever did. So nice to see the spices growing too. Thank you. They are for me not even spicy enough but I try to eat very little of them as they contain much too much sugar, I will though look for a recipe with more spice and less sugar – I’m sure that must be around, or else I will experiment.